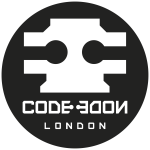 The London .NET User Group was set up in 2002, to support the community of local software developers working with Microsoft .NET. Our monthly meetings are a great way to keep up with what's happening with .NET. We've hosted talks and sessions from people right across the .NET spectrum, from recognised industry experts like Scott Hanselman, Udi Dahan, and Richard Campbell, to first-time speakers and regular developers sharing their own projects and expertise. With .NET Core firmly established as a modern cross-platform development ecosystem, there's never been a better time to get involved in the .NET community. Whether you're a veteran with fifteen years of ASP.NET WebForms experience or a new developer looking to build your first .NET web or mobile application, we're a great place to meet like-minded developers, share ideas and learn from each other. Sorry, looks like LDNUG: London .NET User Group haven't got any events scheduled for the moment! First-time speakers, enthusiasts and open source project maintainers take to the stage to tell us what they're working on! Get in touch if you want to join them - we're always looking out for new speakers. PostSharp’s founder and principal engineer goes through the most interesting reasonings, designs and algorithms of PostSharp – and answers any question.